Sick of thick, dark hair growing back just days after you’ve removed it? 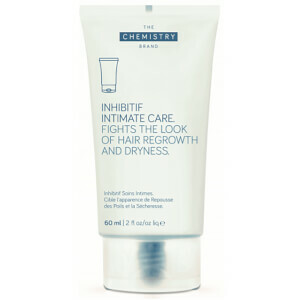 Make your hair removal routine a quicker, easier process with Inhibitif, a DECIEM brand. 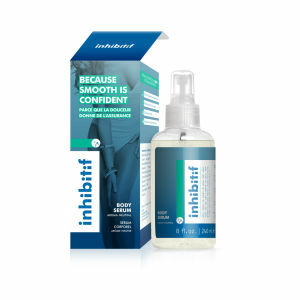 Just like all of the other brands under the best-selling DECIEM banner, Inhibitif uses edgy technology and active ingredients to create innovative products that address common concerns. Despite the prevalence of shaving, waxing and threading, most users would prefer a permanent solution. That’s why laser hair removal has become so sought-after, however it’s also incredibly expensive. Inhibitif creates a middle ground between these two solutions, by requiring you to first complete your everyday shaving, waxing or threading routine. Once you’ve done so, apply an Inhibitif serum to the desired area to begin your hair removal journey. After no more than 8 weeks, you’ll notice that hair is thinner, lighter and far less dense, which means you can put down the razor or wax strips! Key ingredient Hyaluronic Acid ensures the skin is still hydrated and nourished throughout this process. Plus, unique botanicals within the formula prevent against redness and irritation, making Inhibitif products ideal for even the most sensitive of skins. Each Inhibitif product has been formulated with a diverse range of potent ingredients, resulting in truly effective results. Unwanted face and body hair doesn’t stand a chance against this unique range--it’ll never be the same again, in the best of ways. After just 2 weeks of bi- or tri-weekly use, you’ll notice the difference, and there’s no going back! Shop Inhibitif by DECIEM today with Facial Co, your authorised Australian stockist. Free Australia-wide delivery on all orders over $99, plus Afterpay is now available so you can buy now and pay later!